The braking system of your car is one of the most used methods. It is the system that prevents accidents and will keep you safe. If any part of your braking system isn’t performing the way it should, you will have complications in slowing down or coming to a stop or even holding a halt. If you are noticing that your brakes aren’t working the way they should, it might be time to have brake repair and service performed. But, before you head out to your automotive shop, there are a few things that you can do before taking your vehicle in. If you narrow down what is wrong, you might be able to fix some of the smaller problems. It is a prevalent problem for car owners in regards to the braking system. When the pressure on the brake becomes more spongy and is softer to push in, you might be low on brake fluid. The simple way to check if this is your problem is by looking at the brake fluid reservoir. The reservoir lies on top of the master cylinder. You can usually spot the tank by the cap on them labeled DOT 3 or DOT 4. If it is under the full mark, add just enough to get it at the line. Remember only to add what is recommended and used in your vehicle. It will require a little bit of maneuvering, and go under the car. If you follow your brake lines all the way to the rear, look for possible damage to the line. Another area to check that is much easier is the connection to the master cylinder. Sometimes the rings inside the master cylinder can become worn and allow for tiny leaks. If you notice fluid here, it could be the potential cause of your car not braking correctly. In a disc brake system, the brake pads are what press against the rotors that make your care come to a stop. If your brake pads are overused, they will start to make that annoying grinding sound. The production of sound is from a metal shim within the brake pad. It is your first indication that you will need brake service. If your calipers are not opening and closing the way they should, it can cause your brake pads to be continually contacting the rotor. 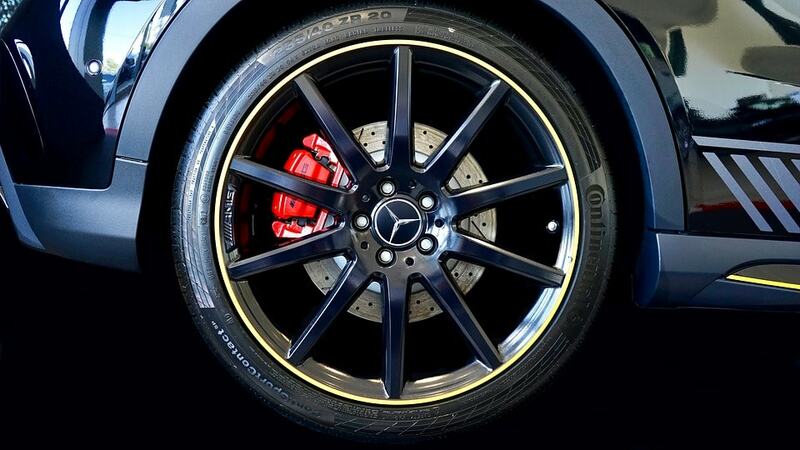 If this happens, you will need to have brake repair work done on the calipers to get them to open correctly. As mentioned your rotors will be what your brake pads clamp to initiate braking. If you were to look at the rotor, you might notice that they might be worn down. Depending on how long you have gone from your last brake pad change, you might have to have these replaced. Uneven wear or warpage will result in a vibration when at speeds over 30mph and coming to a stop. In conclusion, there are a few items you can look for before taking your car into to get serviced for the braking system. Knowing them will help you to understand what exactly is wrong, and what it will take to fix the problem.